With the 4th of July right around the corner it is time to fire up the barbeque. The perfect excuse to throw some burgers on the grill and sit back with a nice cold drink and the company of good friends. 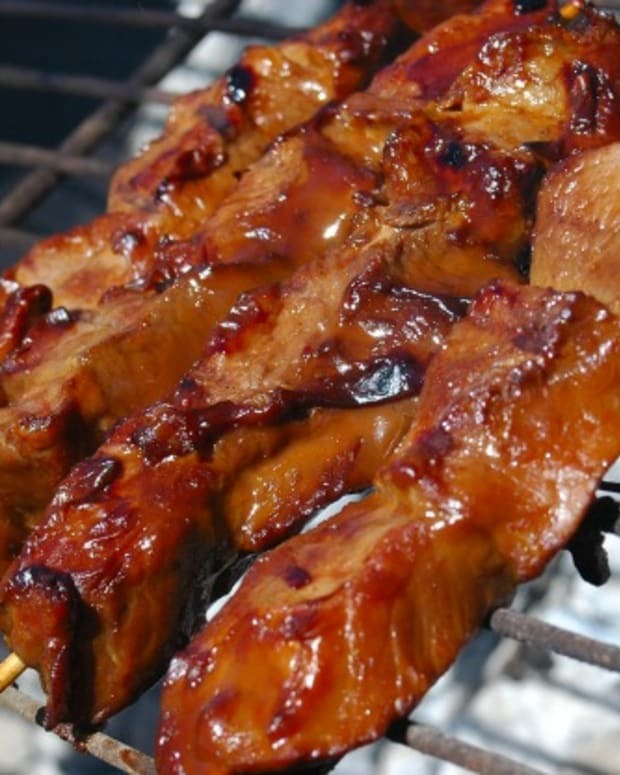 While there are many types of desserts that compliment a barbequed meal perfectly, I think it is fun to take advantage of the hot grill and make a grilled dessert that highlights all that is wonderful about the ritual of the summer barbeque. 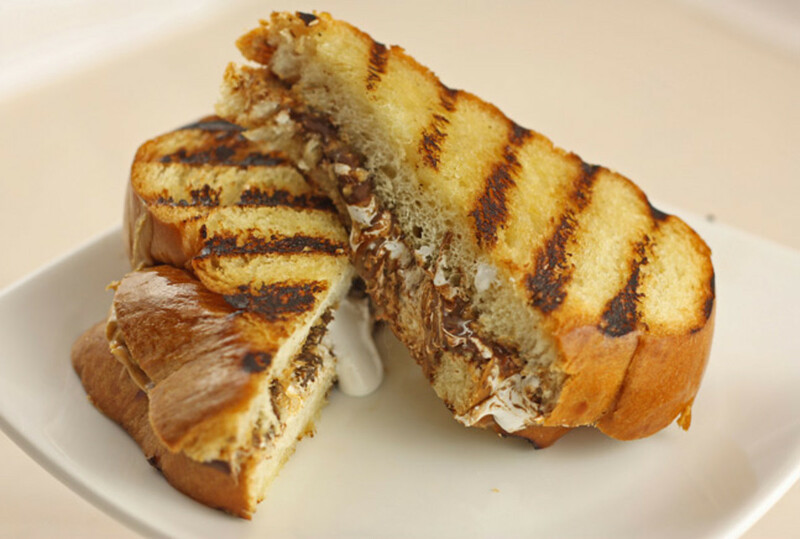 When I think about grilled desserts my mind naturally jumps to the campfire classic, s’mores. 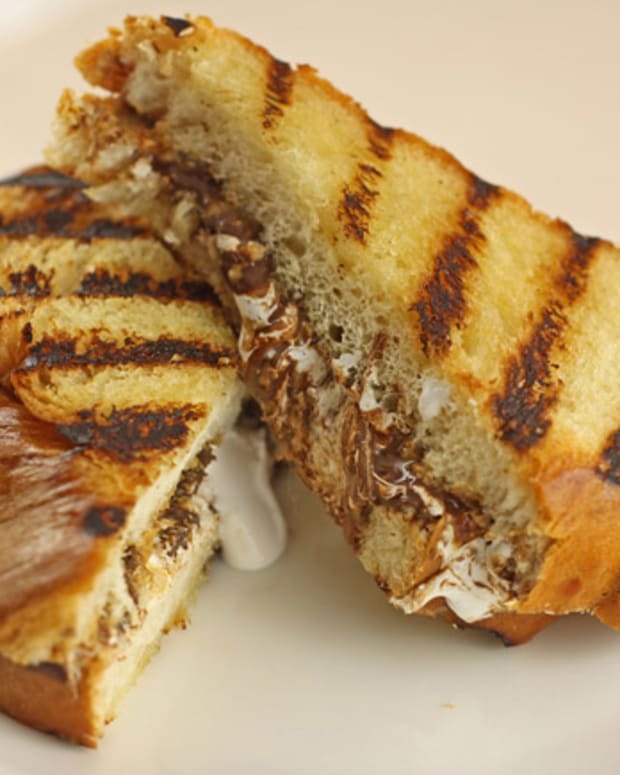 These tasty grilled sandwiches, made on sweet toasty challah, have the same gooey marshmallow-y appeal but the addition of peanut butter takes them to a whole other level. 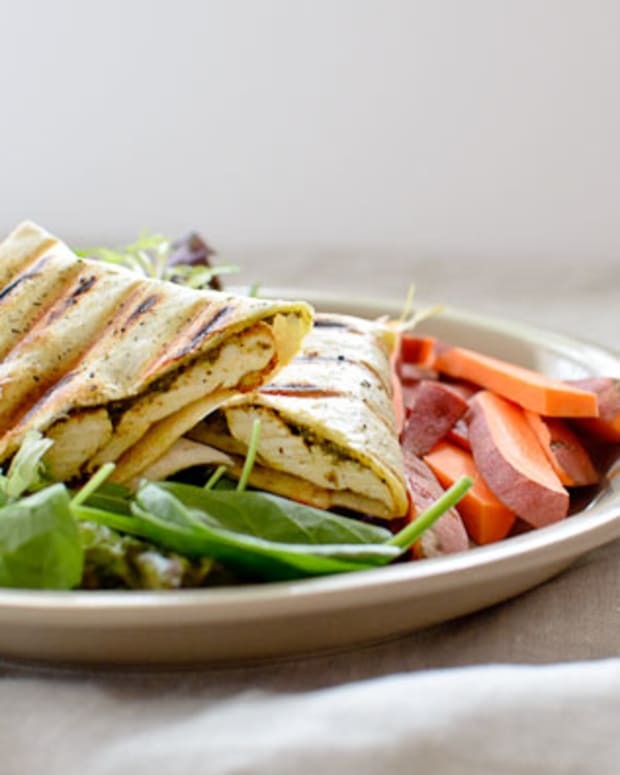 They are quick and easy to make and are sure to be a crowd pleaser. 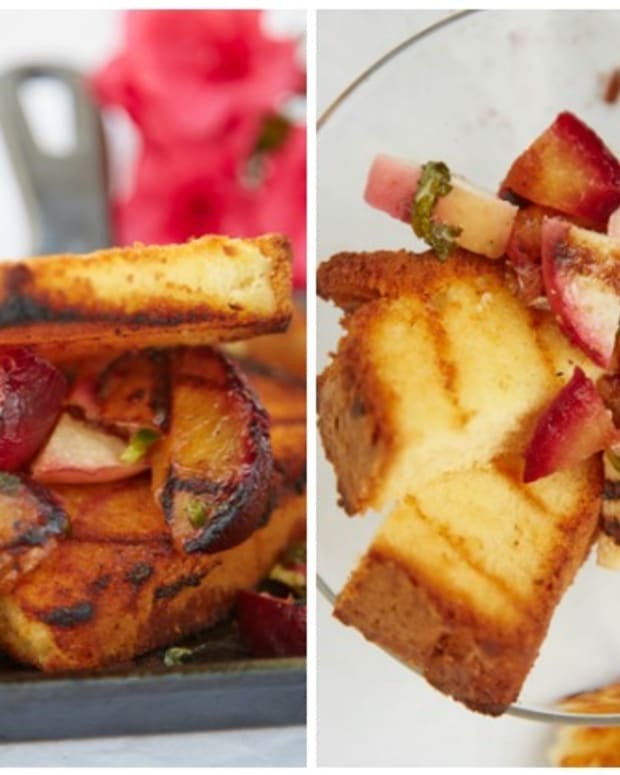 Since most grilling takes place in the summer it makes sense to take advantage of the amazing summer fruit that is available this time of year. 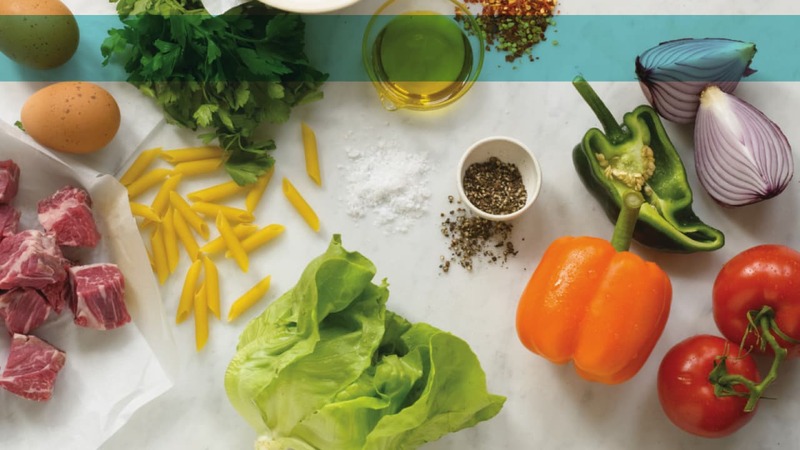 Grilling intensifies the flavors of fruit, bringing out their natural sweetness. Hearty fruits, like pineapple and melon, take well to grilling, but I also like grilling softer fruit like peaches. 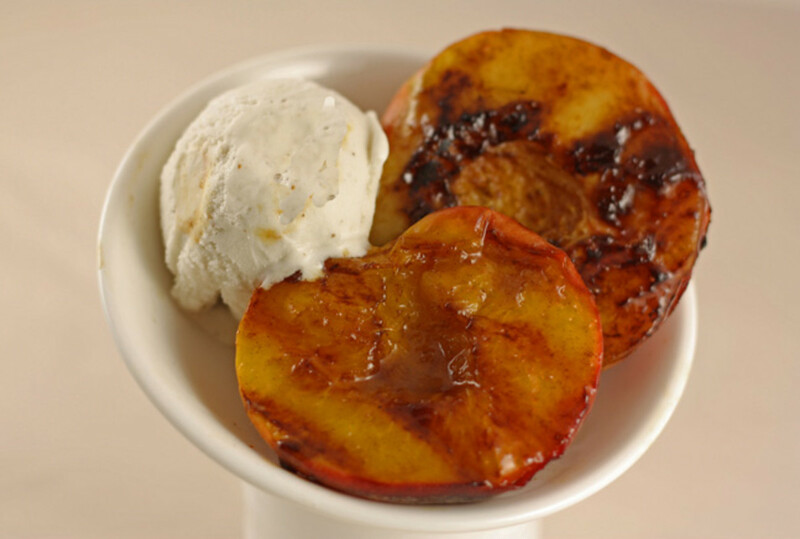 These Cinnamon Grilled Peaches are the perfect summer dessert when paired with a cooling scoop of parve ice cream. I like to serve them with a homemade cinnamon ice cream but vanilla works well too. Another dessert that takes well to grilling is pound cake. 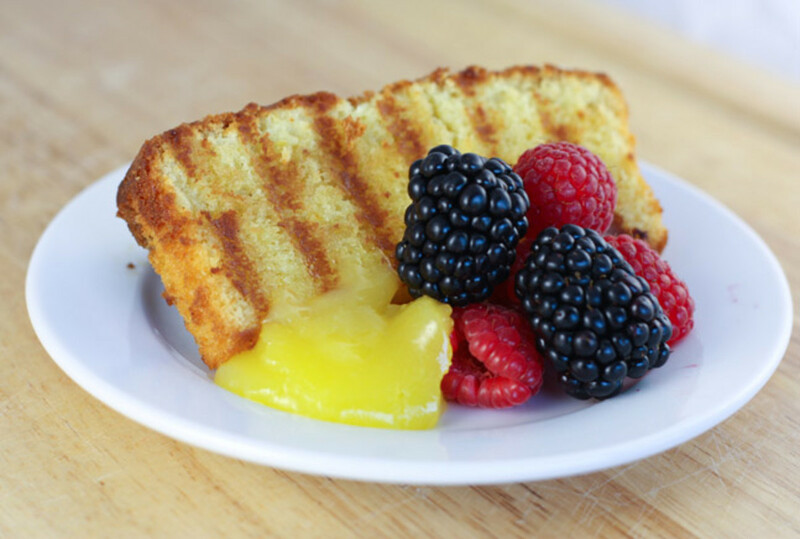 The heat of the grill gives it a nice warm toasted exterior that is delicious when paired with fresh fruit and tangy lemon curd. I used a coconut pound cake in this recipe, but any parve pound cake would work. Making the pound cake does require turning on the oven in the summer heat, but it can be made up to two days in advance so it doesn’t require any last minute baking. 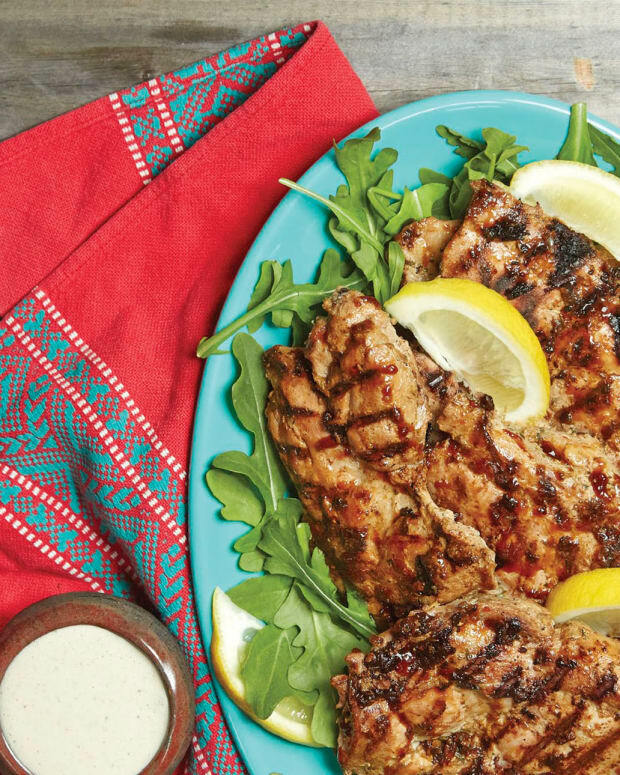 While an outdoor barbeque just screams summer, sometimes it isn’t possible to grill outside. 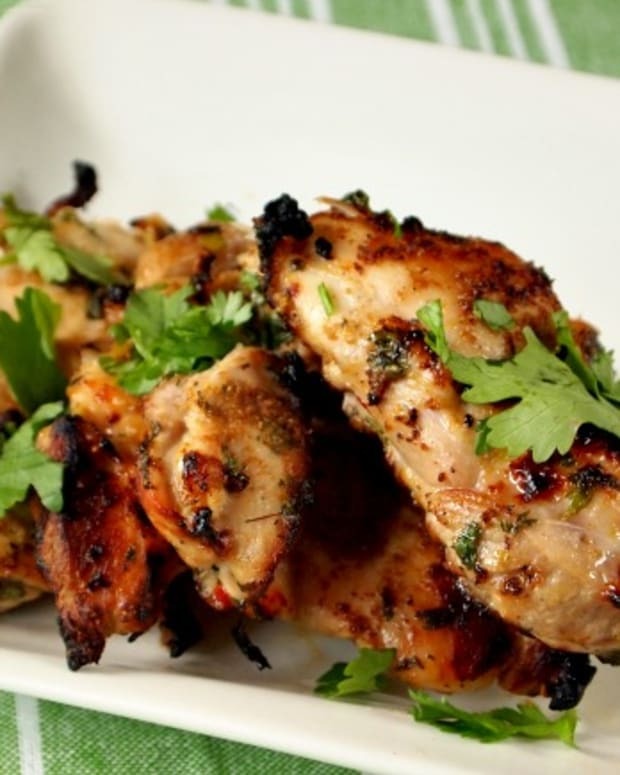 All of the following recipes work equally well on a well oiled hot grill pan in the comfort of the kitchen for days when rain drives the best planned barbeque inside. Inside or out, these desserts are sure to end your 4th of July meals with a proper bang.